I was speaking to Steve The LoveMarketer today and I learned something pretty damn important! The balance has just shifted for Google, from desktop searches to mobile / tablet. Now over 50% of all searches are done on the run, with desktop friendly websites being left behind. You’ve got a deadline people! For businesses that have a website, since the 90s the default design has been desktop friendly. 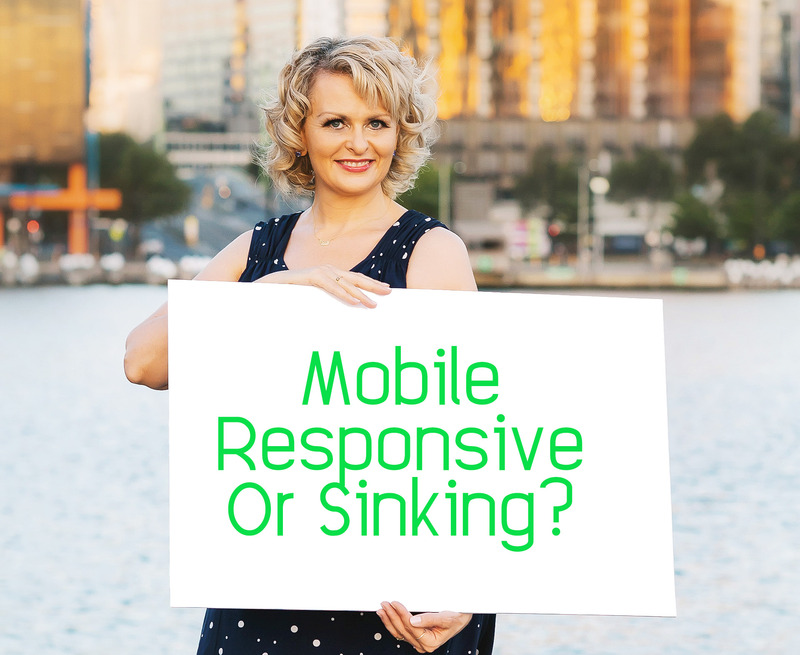 Although the first ‘mobile friendly’ or responsive website was Audi.com launched in late 2001 even until a couple of years ago and on great platforms like WordPress, your site may well still be back in the pre-responsive dark ages. My own site, www.emmasidney.com is suddenly becoming a bit of a mill stone because it doesn’t have website responsive coding and I had that built only 3 years ago. Now, if your business is like mine and it's not been rebuilt for a couple of years, you could be in a spot of bother. In other words, there’s a number of things to consider, a lot of them technical. Some website developers may sidestep the process with a quick fix – the ‘mobile friendly plug-in’. Don’t fall for that one! This is a temporary fix to the overall website design that in my experience and that of technical experts I speak with every day isn’t fully responsive. The result? You may have a site that kind of works on mobile but doesn’t look or feel user friendly, so again your domain trust will suffer through less interaction. How do you know if you need a rebuild? If I’m giving you heart palpitations right now, I apologise. Many websites are dual developed – replicated if you will, for desk and mobile viewing. As the mobile site is going to be the primarily ranked one; that needs to hold and access all the relevant information your client needs to make a buying decision. Your mobile site will make or break you in the coming year and I am offering a solution. If you send your website address to me I’ll check if you are going to have an issue and give you some easy solutions. While we are looking, my experts and I will check your backlinks, SEO, user journey and any copy that might be improved as well, so you’ll have a full website health check. What do you have to lose? Google visibility ... and CLIENTS. Get onto it and email me: Emma@digitalcopywriting.com.au.